Get a crip, clean look for your lamps and lighting fixtures with this set of two white hardback shades. A nice, modern replacement for some old pleated shades. Size, harp, color and material for a pair of antique lamps. It was very difficult for me to find this small size in a spider harp. Hopefully is right size in a shape that we like. Also color. Like the size, shape & color. 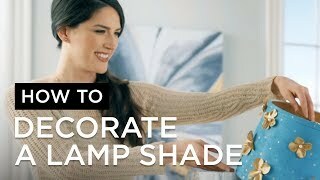 I have been looking for this size and color lamp shade for months to go with my beach lamps. Hallelujah! Finally, I found your site. Right size, looks good! Price is very good. Only place that had exactly what I wanted. What is this shade lined with? BEST ANSWER: Hi - The shades are lined with white styrene (type of plastic). What hieght are the harps for the 13.5 x 13.5 x 10 shade.? BEST ANSWER: These include a 7"H harp. These are old floor lamps without harps. They use wire to clip onto the bulb, with a space to screw in the finial atvthe top to hold it. Would imagine would need it less tha 8". What do you all a shade that doesn’t use harps? BEST ANSWER: Hi, lampshades that do not use a harp are known as an Uno fitting. Uno shades rest on the socket assembly of the lamps. Thank you so much for taking the time to answer my question!! Does this shade come in cream color? BEST ANSWER: No, there are no other color options for this shade collection. How does the harp attach to the lamp? BEST ANSWER: The harp will attach to the saddle which is located around the socket. You would squeeze the harp to get both sides to move close enough to place into the saddle. I need 2 shades which fit over the bulb? Are the shades fabric-finished on the inside, or cardboard? BEST ANSWER: The inside of the shades is constructed of plastic. They are white plastic (or maybe a coated cardboard?) on the inside. These are the perfect size for the lamps I have. They also come with the harps which is great. Lots of light available now with these shades. This pair is a super value !! and great quality. 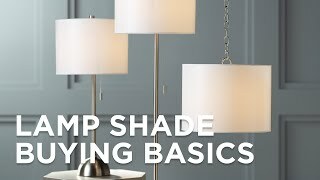 I'd looked at dozens and dozens of shades looking for something simple and elegant (and the size I needed for the existing fixtures) and these fit the bill. The price is excellent and the shipping was without problems—the shades were well packed. I'm happy. I love the white drum shades. They were replacement for a pair of swing arm wall lamps. So much cheaper than buying new fixtures. The shades came quickly and were packed so efficiently. I was so impressed with the service and the quality. All 4 shades were beautiful and were perfect for all the lamps. I will continue to use Lamps Plus for years to come.